Will your most insightful experience at Mount Gahinga Lodge be climbing the slopes of a volcano, encountering a Rwandan gorilla, or meeting members of one of Africa’s oldest tribes? Your first impression of Mount Gahinga Lodge could well be one of rightness. 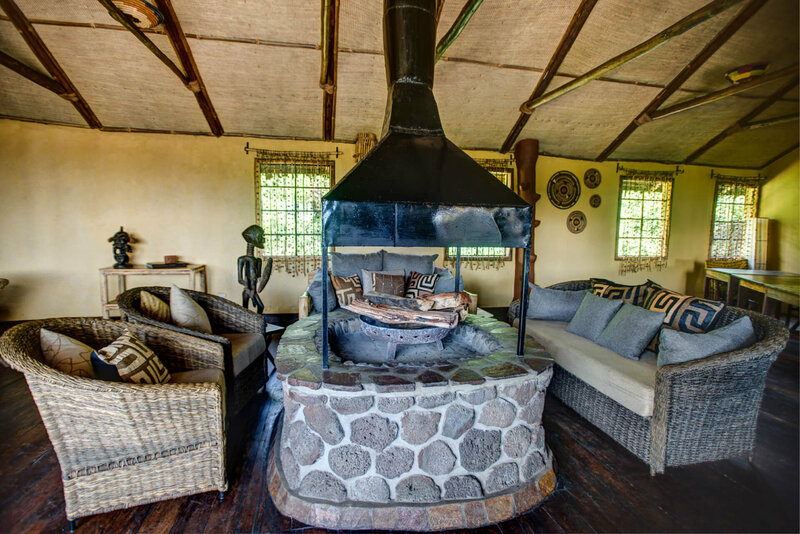 The Lodge’s bandas have been built in the traditional Ugandan style with stone walls and roofs thatched in papyrus, so they assume a natural place in the surrounding environment. Your next impressions will be of simple comfort, with added touches of style. But perhaps it’s the things you’ll do on your luxury, tailor-made holiday to Uganda that will live longest in your memory. You could, for example, arrange to visit the gorillas of Rwanda (Mount Gahinga is close to the Rwandan border), or search out golden monkeys in the local forest. You could interact with the welcoming Batwa people and learn about their culture. Or even track wildlife with a Batwa warrior in traditional dress.